For someone who has made lying the hallmark of his public persona, Donald Trump is committed to advancing that character flaw to ever new heights. It’s not enough that he has won at least two Lie of the Year awards from PolitiFact, or that he surpassed 5,000 lies since his inauguration. He continues to climb to new summits in the pursuit of prevarication. Lie #1: It’s not illegal. Let’s break this down in order. The first lie arrives quickly in the second word, “illegal.” The Mueller investigation is legal by any measure of consideration. It was authorized by Trump’s own attorney General, Jeff Sessions, and is headed by a special counsel, Robert Mueller, who was appointed by Sessions’ deputy, Rod Rosenstein. The entire probe is subject to the review of the Deputy Attorney General, who has approved everything that Mueller is doing. This is one of Trump’s favorite ways to malign the investigation. But the absurdity of his attack is evidenced by the fact that so many “witches” have already been found. Mueller has produced dozens of indictments and secured seven guilty pleas/verdicts. And many of these felons are now cooperating with Mueller on broader matters that might include Trump’s collusion with Russia. 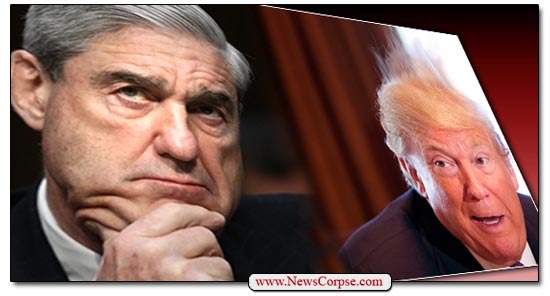 The special counsel is limited to only those areas of inquiry that are authorized by his bosses at the Justice Department. Everything he has been investigating has been explicitly approved and he has no authority to go beyond those limits without getting additional approvals. His only mandate is to investigate alleged crimes and document what he finds. If there were no crimes committed, he won’t find any. No matter how many times Trump whines that there was no collusion, he cannot erase reality. His son and his campaign chairman, Paul Manafort, admit that they met with Russian operatives to get dirt on Hillary Clinton. What’s more, numerous people in Trump’s circle (Mike Flynn, George Papadopoulos, Jeff Sessions, Carter Page, etc.) have met with Russians and lied about about until the evidence made that impossible. There is absolutely zero evidence that Clinton or her campaign had any dealings with Russia. What Trump likes to assert is that the infamous Steele dossier is somehow proof of Clinton’s collusion. But that research was done independently by Christopher Steele, who got information from Russian dissidents, not Kremlin operatives. And Clinton never directed any of that investigation. As a technical matter, there are 65 million angry Democrats. But more to the point, Trump is accusing Mueller’s team of being partisan and biased against him. But these are career Justice Department professionals who have shown no bias whatsoever in the conduct of their duties. And the head of the team, Mueller, is a life-long Republican who could overrule any finding that he determined was improperly influenced by personal opinions. Mueller proved his impartiality by removing former FBI official, Peter Strzok, after only two weeks due to the appearance of bias (although none was actually found). This is similar to lie #3 where Trump asserts that the investigation is just fishing for anything to hang on him. But once again, Mueller’s authority is strictly overseen by his superiors at the Justice Department. He cannot simply wander off on his own to hook the President. This is just Trump whining (and he did say that he is the “most fabulous whiner”. This is only unfair to the same degree that any criminal regards his prosecution as unfair. They would obviously prefer not to be under investigation at all. But Mueller’s probe is following all the rules set forth by applicable laws, and if Trump doesn’t like it he’s just behaving the way any other guilty person would. If he were innocent he would expect that the result would exonerate him and welcome the investigation as as an opportunity to clear his name. Let’s face it. This is only bad for Trump. What’s bad for the country is that Trump engaged in such shady and illegal activities that we all have to go through this nightmare. It’s no one’s fault but Trump’s. And he doesn’t get to decide whether his being brought to justice is bad for the country. His conviction will result in his having to pay the price for his crimes. And it will hopefully serve as a deterrent to other aspiring criminals and traitors. Everything that Mueller is doing is strictly according to the law (see Lie #1). Trump didn’t cite any alleged legal violation because there isn’t one. Not that he would be able to understand it if there were. His lawyers haven’t even cited any legal argument for ending the investigation, nor have they filed any motions to do so. The only threat to the investigation is Trump’s frequent warnings that he might interfere with the proceedings because he doesn’t like that they exist. That would just be another incident of obstruction of justice. So Trump’s tweet managed to get everything wrong. It was a panicky outburst that exhibits just how frightened and desperate he is. It’s what lawyers call “consciousness of guilt.” And Trump has demonstrated that so many times it’s impossible to count. One thing for sure is that Mueller is taking all of this into consideration and it will be a part of his final report. Trump is so stupid he has no idea how badly he’s hurting his own case. But that’s typical of malignant narcissists who are always convinced of their own superior intelligence and virtue. And it’s also typical of their eventual downfall. More bull $hit from the horse’s $ss.. Your comment re Lie #7 reminded me of a comparison I made between Mueller and Ken Starr, saying how Mueller may be Republican, but it is clear that he is thorough and willing to continue pursuing this matter — as required by his remit from the Justice Department — until he reaches a satisfactory conclusion. As opposed to Ken Starr, whom I said started investigating a piece of land and ended chasing a piece of a$$. There, the issue WAS finding anything to “hook” Bill Clinton. That is NOT what Mueller is doing by a long shot – the evidence is all too clear, and we all know this, especially Mueller. The Reichwing Trump worshipers can claim any bs they want, but it won’t change the evidence. I’m still a little confused. If you investigate a Democrat on Whitewater you are allowed to extend the investigation the president’s relationship to Monica Lewinsky but if you investigate a Republican for Russian collusion you must not stray from that? Why are the rules so obviously different between Republicans and Democrats? Because Trump worshiping hypocrites must ALWAYS make up their own rules, which a) cannot be followed by non-Trump worshipers, and b) don’t have to be followed by Trump worshipers if the rules get in the way.